There are many books that deal with issues related to Spirituality and God. 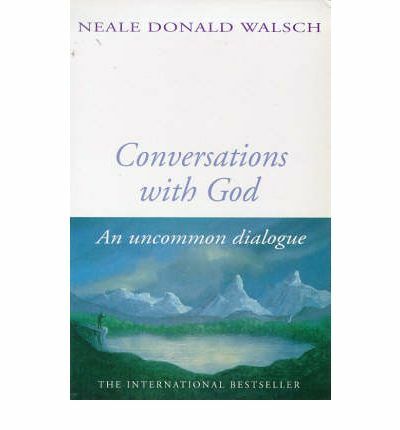 None, however, explore that between man/woman both with and as God, as well as Walsch in ‘Conversations with God’. Walsch’s novel has many ‘truths’ that might be discussed. The crux of the book hinges on the theory that we are all God ourselves, all we need to do is look within, and ‘He/Her/It/Us’ will speak with us. Walsch asks God, ‘Are you saying that all the bad things that happen to us are of our own choosing?’ God replies, ‘Not in the conscious sense – which you mean. They are all of your own creation’. This brings us to the cycle of karma – what we do, comes back to us. It is said by some that even thoughts that a person has influences matter. Walsch surmises that the Trinity is the same in all religions – the Father, Son and Holy Ghost in Christianity akin to the Brahma, Shiva and Krishna of Hinduism. However, this could be a source of contention, as not all religions have a ‘Trinity’; Buddhism, for example, does not. It believes in Buddha, and no God, but as man. This brings us to an interesting point; what, then, is the common theme amongst all religions? Walsch’s God talks as a father, a friend. Is this common of all religions? In Hinduism, God can even be in the form of a husband or wife. There is one aspect of all religions that have a common theme – Love. Whatever form God takes, it is one of Love. There can be debate as to whether the Lord really is a strict ‘Father’ or a loving ‘Husband’ – but all religions agree that He/She is love abounding. This now brings us to the Final point of the exercise – if in all religions God is Love, then cannot religion itself be ‘discarded’ and God himself/herself be worshipped as true ‘Love’ in whatever form we choose. God in Walsch’s novel calls Walsch His ‘Daughter, Son, Purpose…and Self’. Is God not also a Husband, a Wife, a Love, a Lover? I choose to leave you with these words – God is Love. But what is Love? Where is Love? Is it not in everyone we meet, all we see – the land, the ocean, rivers and trees…in our fellow men and women, indeed in the rest of the Universe, above and below? For are we not one, created equal, to be as One with All till Eternity.